can you please re-upload part 5 on netload ? sorry, the original RAR file is blacklisted by netload. i have tried many different ways to reupload to netload, but all failed. that’s why i added extmatrix links. 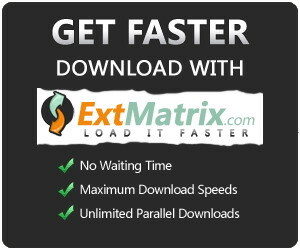 so use extmatrix links if you wanna download this movie. extmatrix links with new RAR files were added. Oops, sorry. Commented on the wrong tab. All the netload links are working for Deathly Hallows, part 2. It's part01 of Deathly Hallows, part 1 that has the dead link. A heads up – the netload part 1 is offline. thanks the link is okey now. thanks for the reuploaded but part 17 still dead. i checked, and it’s alive. but FSC had some tech issues now. sometimes it would tell you ‘File Not Found’. you need to try more times. Fileserve Part 11 – 18 is dead, could you please reupload? Thankyou.